John Nicholas Kramer, age 87, died peacefully on Tuesday, April 9, 2019 at Brewster Village surrounded by his loving family. John was born on March 21, 1932 the son of the late Edwin and Clara (Ellenbecker) Kramer. John was united in marriage to Marjorie Diermeier on August 20, 1957. John and Marjorie were faithful members of St. Edward Catholic Parish in Mackville. For their 50th wedding anniversary they took an Alaskan cruise with their family. One of his greatest enjoyments was spending time with his children, grandchildren and great-grandchildren. 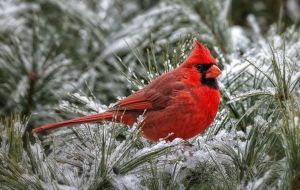 He enjoyed watching the birds dine on the food from his feeders. 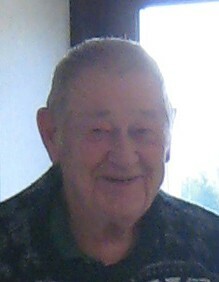 John is lovingly survived by his six children, Thomas, Black Creek; Sharon (Mark) Hess, Greenville; Lawrence, Appleton; Donald, Black Creek; Jean (Chris) Graetz, Clintonville; and Jeffrey, Hortonville; three grandchildren, Megan Hess and her fiancée Ben Van Driel, Rachel and Eric Hess; two great-grandchildren, Grace and Carson Van Driel; his siblings, Alvin Kramer, Margaret Foth, Mary Wichman, Alice Armitage, Jean Barth and Charles Kramer and by numerous sisters-in-law, brothers-in-law, nieces and nephews. John was preceded in death by his wife, Marjorie his parents and two brothers, Edwin and Raymond. The Mass of Christian Burial will be held at 11:30AM on Wednesday, April 17, 2019 at St. Edward Catholic Parish N2926 State Road 47 in Mackville, with the Rev. Walter Stumpf officiating. John’s family will receive relatives and friends at the church on Wednesday from 9:30AM until 11:15AM with the Mass to follow at 11:30AM. Interment will be in St. Edward Cemetery. John’s family would like to extend a special thank you to his doctors and the entire staffs at Carolina Assisted Living and Brewster Village, for all of their care and compassion and especially to his sister Margaret Foth for all her help taking care of Dad since Mom’s passing.